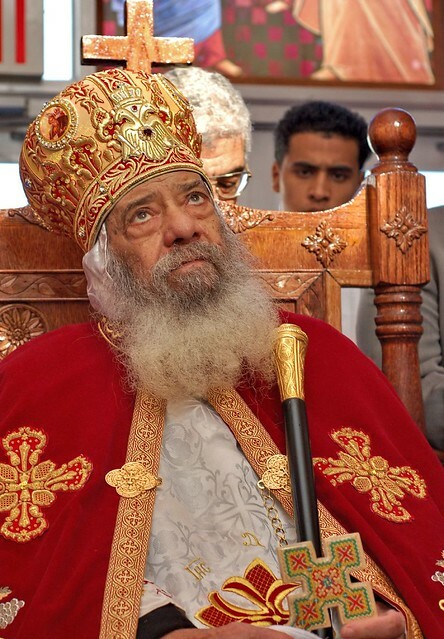 The Coptic Church bids farewell to our beloved father His Holiness Pope Shenouda III, Patriarch of the See of Saint Mark. His Holiness shepherded his church for 41 years, through which the Coptic Church has flourished under his guidance and teaching. His Holiness Pope Shenouda III is well known for his deep commitment to Christian Unity. In an address he gave at an ecumenical forum during the International Week of Prayer in 1974, he declared, “The whole Christian world is anxious to see the church unite.” May the Lord repose his soul in the heavenly Jerusalem. Rev. Father Abraam Sleman, Fr. Markos Ayoub, Fr. Daniel Abdelmaseih, the board of deacons, the deacons, and the congregation of St. Mark's of Jersey City, NJ are offering their condolences to the holy synod and the entire members of the Church all over the world with sincere prayers for the repose of His Holiness' soul in the bosom of the saints.